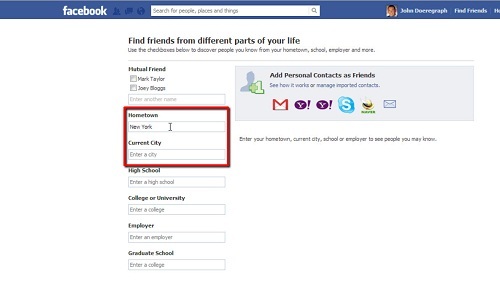 In this tutorial, you will learn how to search Facebook friends by area. First, go to “www.facebook.com” and login to your Facebook account. Once you are logged in, click on your name, to the left of the “Home” icon in the upper right-hand corner of the screen, this will bring up your profile page. 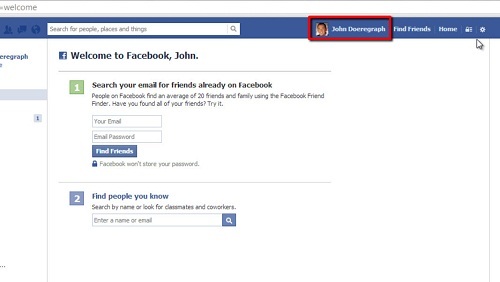 Next, click on your “Friends” icon, to the right of your status update box. In the upper right-hand corner of this screen, next to the “Edit” button,” click on the “+Find Friends” icon. From here, you will see a “Hometown” search box and a “Current City” search box. The “Hometown” search box will find people who have the hometown you enter in the search box listed as their own hometown, and the “Current City” search box will find people who have the current city you enter in the search box listed as their own current city. After you enter the city you would like to search, simply hit enter and the list of people with that city listed will come up. 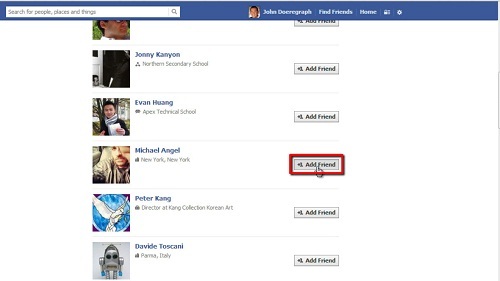 Scroll through the list and add anybody you know by clicking the “Add Friend” icon next to their name. And that’s it, you now know how to search Facebook friends by area.